Create a game night and bring your friends, family or neighbors together. This social event can be held weekly, monthly, or whatever works for you. With just a little organization, you can create hours of fun. Take a look at this report from the Rhode Show of WPRI in Rhode Island. 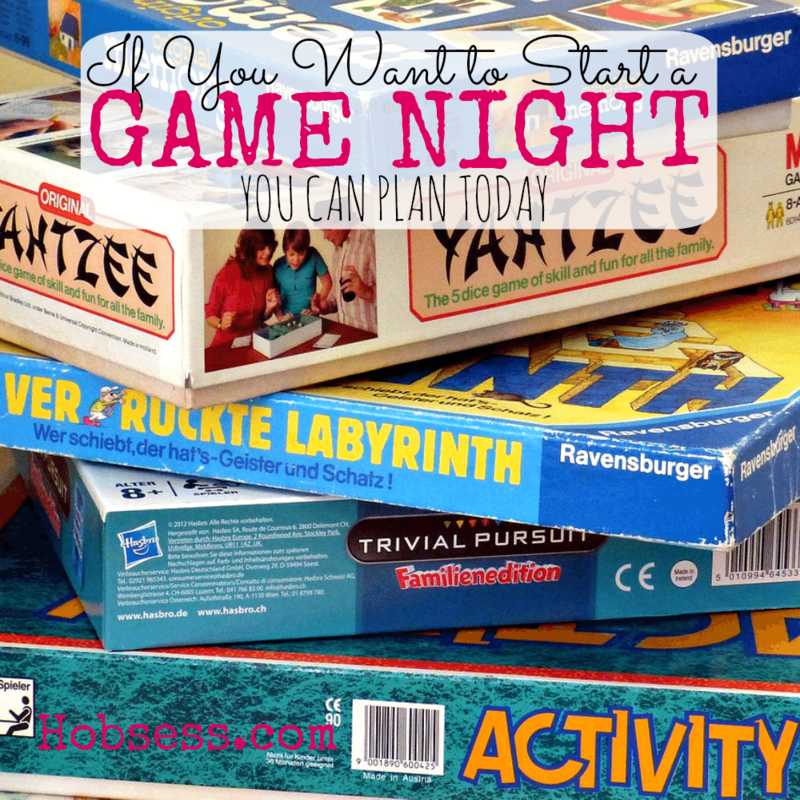 You will get some good ideas about starting your own game night. Are you just getting started or are you an expert? Get involved with others who share your interest and/or passion in having fun playing games. Use evite and get your friends together! Go to this Game Night Board, click “Follow Board” and then help us make this the best board on Pinterest! Follow Hobsess (Rev Crouse)’s board Game Night (LEISURE) on Pinterest.